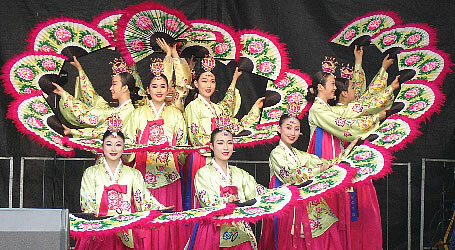 While pursuing an economic powerhouse in the last few decades, Korea has longed for international recognition for its cultural achievements. As far as overseas recognition is concerned, incoming president Park Geun-hye has it easier than her predecessors. Through the YouTube sensation Psy's "Gangnam Style" video, the hallyu sweep has entered a period of rejuvenation. In various areas of culture such as fashion, classical music, literature, Koreans are making a name for themselves on an international level. Park arrives at Cheong Wa Dae today with an array of policy goals for advancing the nation, and cultural development is one of them. In particular, sustaining the popularity of hallyu and expanding it beyond Asian borders will be a key cultural agenda for the incoming administration. While Park has remained almost silent on cultural affairs, she is mindful of the increasing role of the economic value of cultural exports as well as culture’s role in promoting Korea’s image abroad. During an appearance at the screening of the 3D film “Pororo: The Racing Adventure" last month, she expressed her intention to place more support for bringing innovation, creativity and wealth to the cultural sector. “Watching the growth of Pororo over the years, I have come to have great hopes for our creative industries,” Park said during opening remarks at the meeting. Pororo has also become a symbol of hope for the local animation industry, which has yet to produce globally-popular characters. In the last decade, the TV series has been exported to more than 120 countries. The film will open in 6,000 theaters in China in late January, becoming the most widely-released foreign animated film there. “One of my pledges as a presidential candidate was to promote cultural industries, including animation, as a new growth engine for our country, and I will try to realize my word," Park added. For this, Park has pledged that she will work on expanding national budget for cultural projects and investments. Many experts in the field have pointed out that the chronic problem with implementing cultural policy objectives has been budgetary limitations. Her administration will seek measures to allocate 2 percent of the national budget to culture, according report of Park’s major policy goals released on December, 2012. Currently, around 1.14 percent of the national budget is spent on culture. Park's nominee for culture minister is Yoo Jin-ryong, a former vice culture minister whose key achievement is the establishment of the Korea Creative Contents Agency. 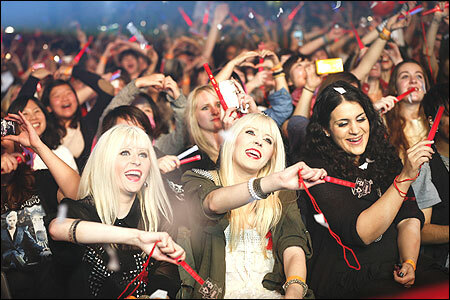 As a recent state survey indicates, there are many who believe that the popularity of hallyu faces an uncertain future. Around 66 percent of 3,600 respondents in nine countries (China, Japan, Taiwan, Thailand, U.S., Brazil, France, U.K. and Russia) said that the popularity of Korean culture will subside in the next four years. To assuage concerns about the longevity of hallyu, the Park administration is expected to focus on diversifying it, so that relatively unknown areas such as Korea’s fashion, literature and traditional tourism assets can be more promoted outside the nation. As a record number of foreign tourists in the final year of the Lee Myung-bak administration visited Korea, the culture ministry is likely to keep its drive to promote tourism under Park’s presidency. Park's nominee for secretary of cultural affairs is Mo Chul-min, a career bureaucrat and a tourism expert. One of the top policy goals of the culture ministry has been to transform Korea in to a pleasant and visitor-friendly destination for foreign visitors. The number of tourists visiting Korea last year surpassed 10 million in November, for the first time ever. Park’s policy report reiterates its commitments to advancing the nation’s tourism by increasing infrastructure and undertaking better maintenance of traditional tourism assets across the nation, many of which are Buddhist-related relics. The Park administration will keep working on closing the cultural gap between Seoul and the rest of the country, particularly the economically backward parts of Jeolla Provinces. To elevate Korea's status as a cultural leader in Asia, mega cultural infrastructure such as the Asian Culture Complex in Gwangju will open in 2014. Park has also promised more support for professional artists and institutions, and to develop the unique cultural assets of provinces and rural areas as tourist attractions.